Today, I am going to share the tutorial of android splash screen with animation. or skype like splash screen. 1. Create an Android Project "SplashScreen"
and retrieve(read) SQLite database records without even writing a single SQL statement. 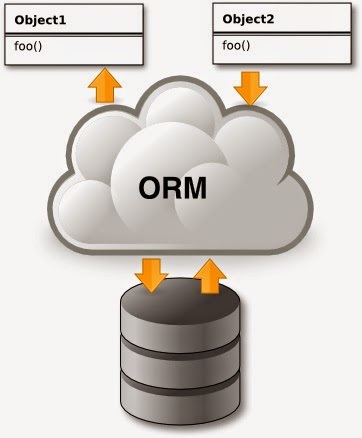 Each database record is wrapped neatly into a class with methods like save(). It is same a Java Hibernate. It also based on annotation like: @Column(name="Column") for creating column and Table(name = "Table") for creating table . 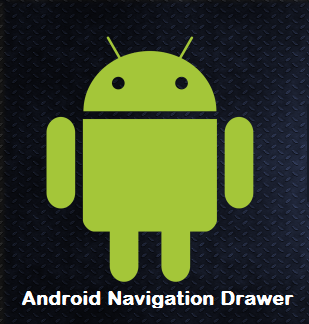 A.Now here we are going to start integrating ActiveAndroid in your project. 1. 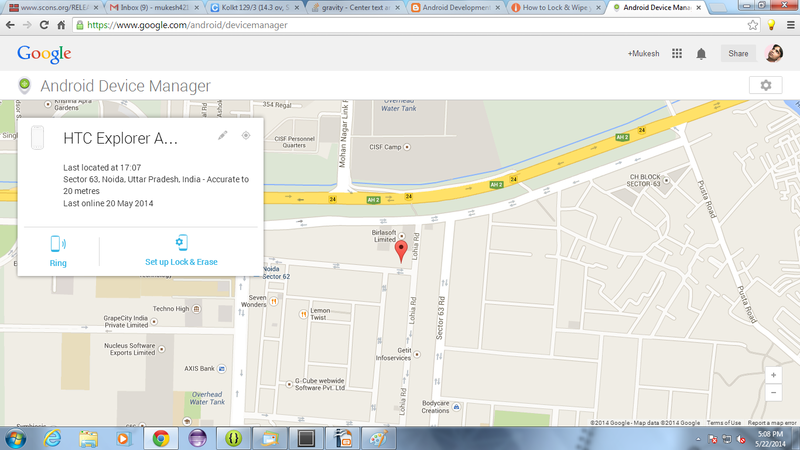 Open the AndroidManifest.xml file located at the root directory of your Android project. Note: In your manifest.xml, if you are not using any Custom Application class then the application name points to the ActiveAndroid application class as we are doing above. But if you are using any Application levele custom class then your Custom Application class must extend com.activeandroid.app.Application instead of android.app.Application. 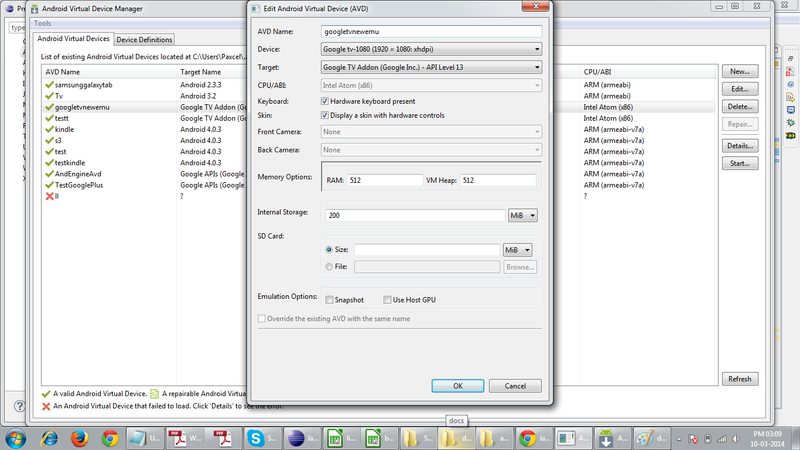 And initialize and dispose ActiveAndroid in the Application class. Here, we are creating our database file inside the sd card root folder. So that we can easily import it in Sqlite Browser . 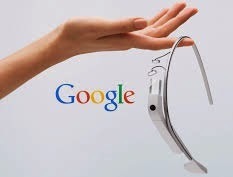 in Configuring the Google glass development environment in Eclipse. 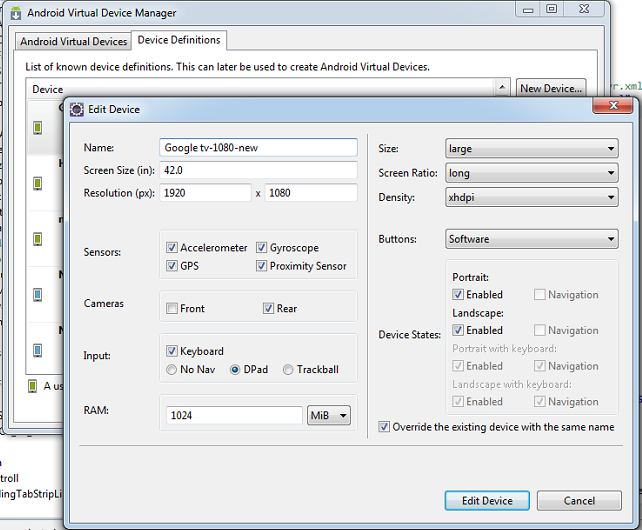 The Glass Development Kit (GDK) is an add-on to the Android SDK that lets you build Glassware that runs directly on Glass. 2. On Glass, turn on USB debugging (Settings > Device Info > Turn on debug). 3. Import some GDK samples with the File > New Project > Android Sample Project menu. Hope, this will helps someone. 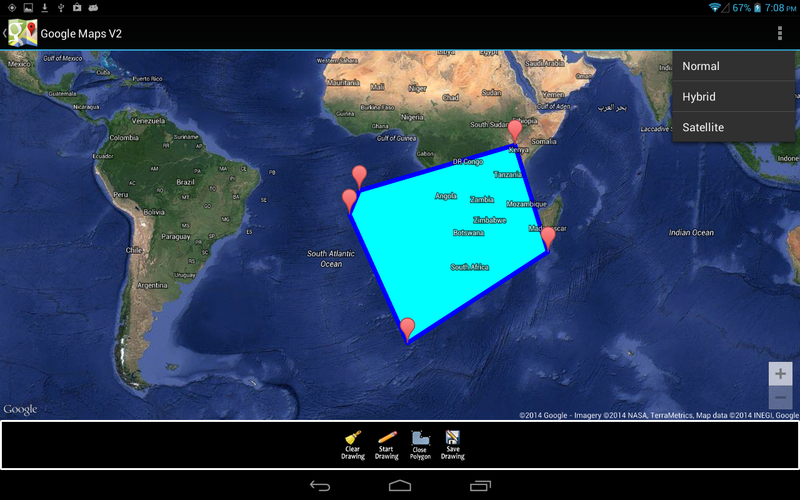 Today, I found another issue with Android ListView.OnItemClickListner. button or toggle button(android switch) in existing one then in this case the ListView.OnItemClickListner stop working. 1) I have a ListView with an Image and textview. 2) I set ListView.OnItemClickListner. When I run my project It's show my ListView. 3) When I click on Listview It's working fine. 5) Then When I click on Listview It's not working. Then I figure out the problem by adding the following two line of code in my Button view. 1. 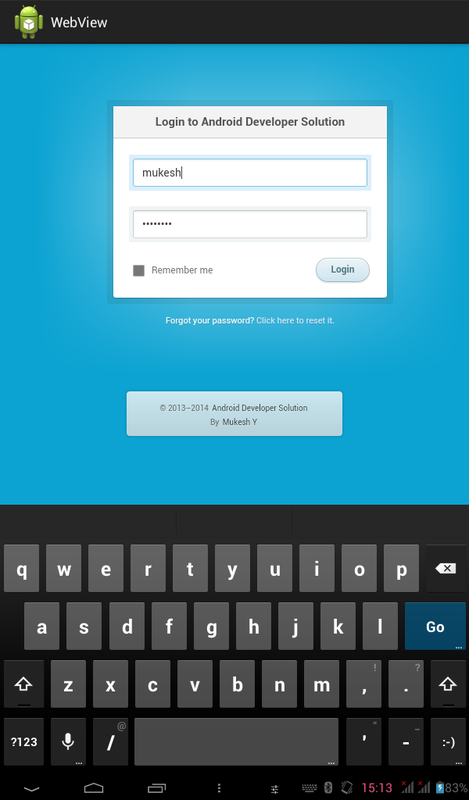 Showing Android Login form in web view or loading html file in web view. 3. Checking the field validation inside our java code. 4. Calling web service method based on valid user name and password. 1. Login.html : This is my html file in which there is two edittext and a login button. <input type="text" name="login" id="loginName" value=""
<input type="password" name="password" id="password" value=""
Screen2: Click on close polygon button which close the polygon. 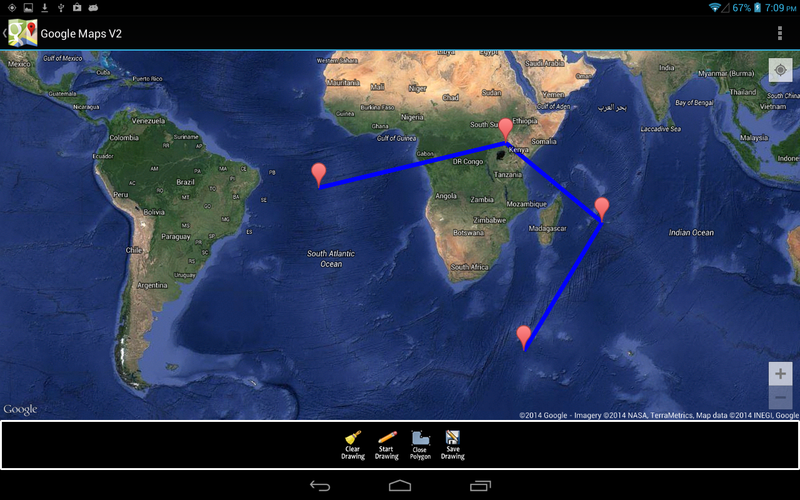 Track our android phone . 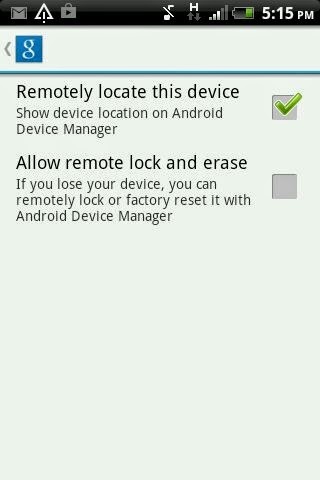 This is one of the best feature in android. 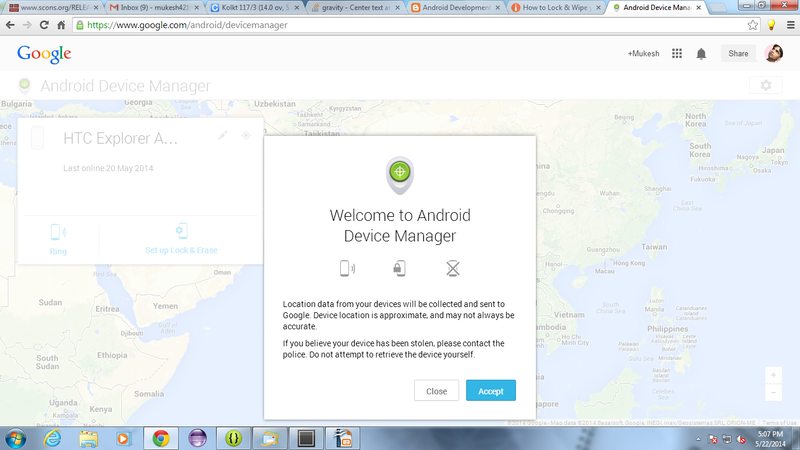 You just need to Setup or Register your phone with Android Device Manager. 1. Plugged your phone with your system via usb cable. 2. 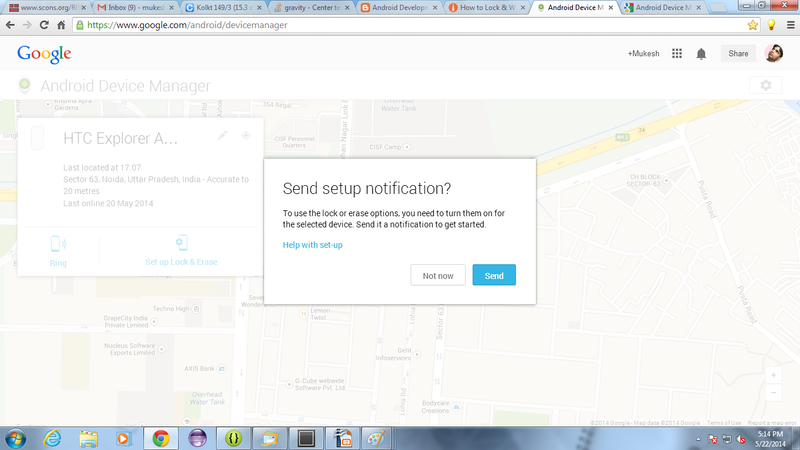 Go to Android Device Manager It ask you log in with you your G mail Account. on map with date and time. 5. 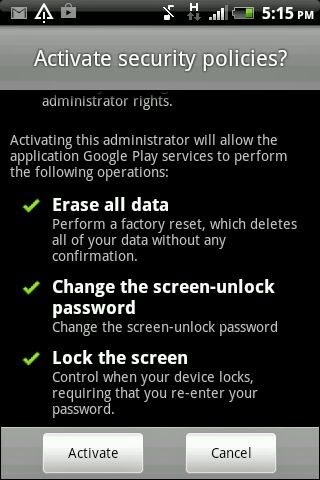 There will be two button a) Ring and b) Set up Lock & Erase. phone, It start ringing with full volume for 5 minutes. the icon, it will ask you for send an setup notification on your phone. Note: step 5(b) is important , so don't forgot to do the setup. 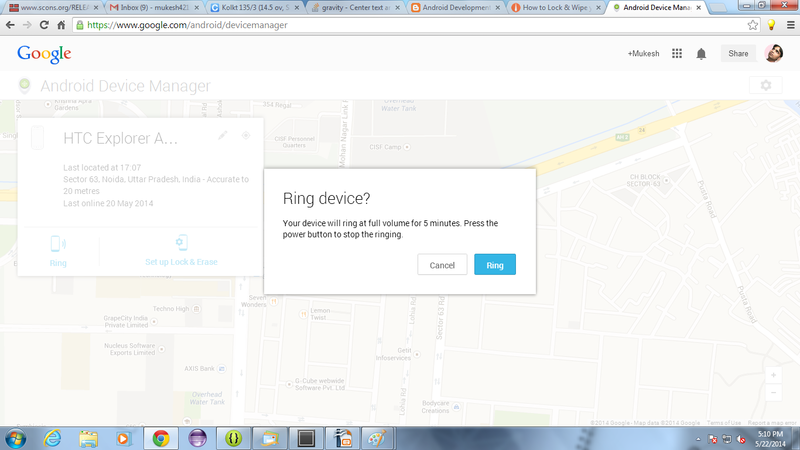 while calling alert dialog from our service class. code and Its worked for me. 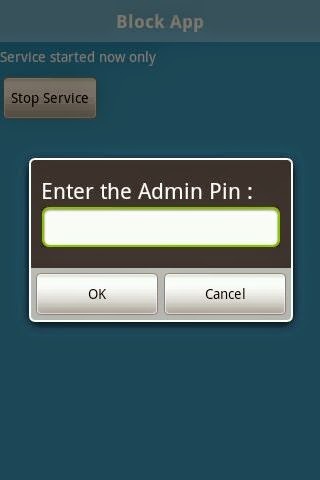 ask user to enter the admin for accessing that app. 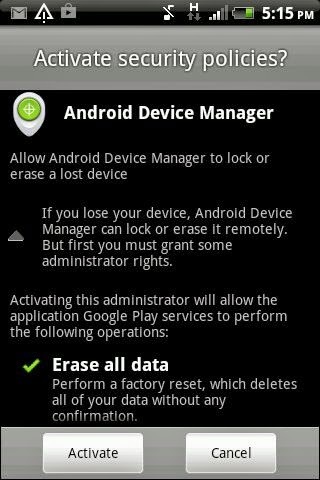 But, I don't want any 3rd party app and also don't want to make my device as rooted. because, its have lots of side effects. running in background and monitoring the launcher app. action bar menu item selection. and Storing Log File in your android phone. 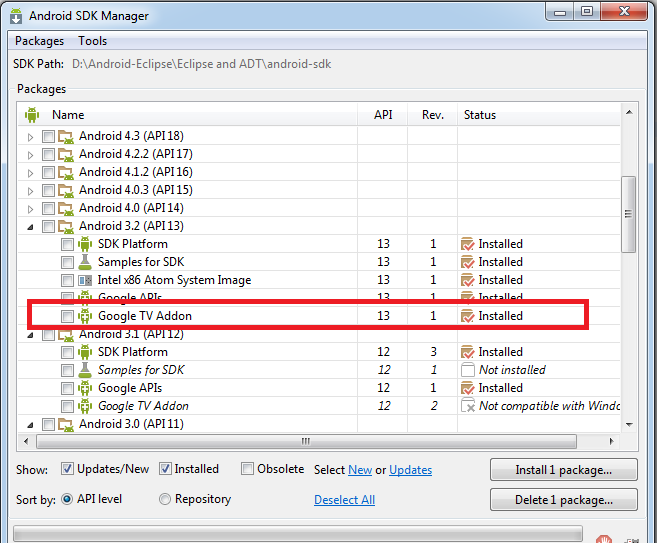 "Collect preferences failed" eclipse ADT error | You may have an "No repository found error"
After updating the sdk manager to latest sdk i.e version 22.6. 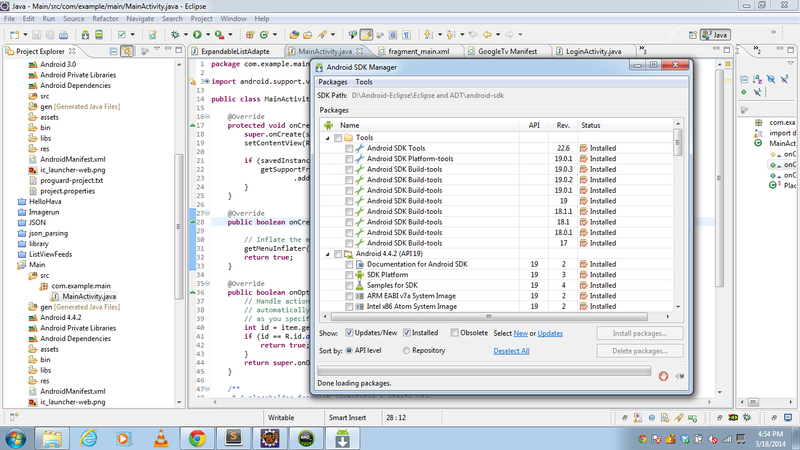 Then I found the solution by updating the Eclipse ADT plugin. 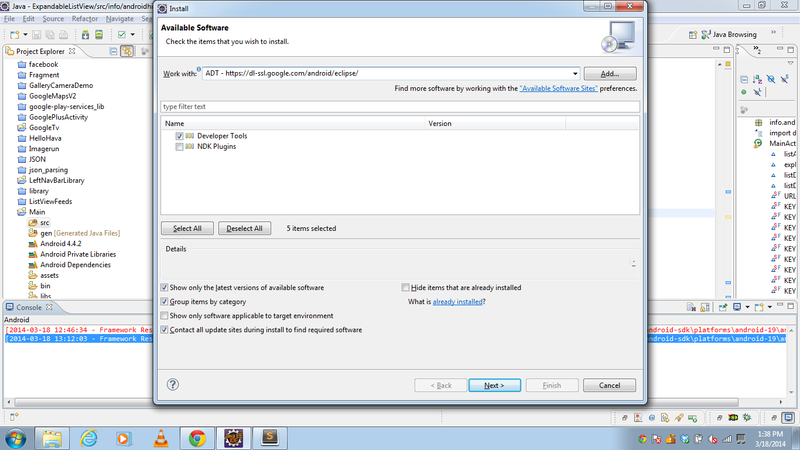 2. select "Android Developer Tools Update Site - http://dl-ssl.google.com/android/eclipse/"
You may have an "No repository found error" while installing the tools. Then I do following tweak I removed the http://dl-ssl.google.com/android/eclipse/ site and then re-added it, then everything downloaded fine. //setUp() is run before a test case is started. //This is where the solo object is created. //Click on the button named "Sign up". //Check to see if the given text is displayed. Hope this post is helpful for some one. After adding the above annotation the above issue will be fixed. Hope this will help you during writing the test case for your android project.